As most of you Canadian blank enthusiasts are aware, blank guns are next to impossible to find in Canada right now, let alone a brand new blank gun! 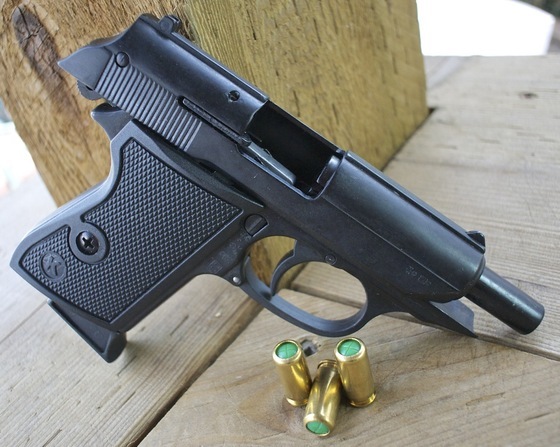 I have acquired "at substantial cost" 8 brand new Kimar Model 85 8mm P.A.K. Front Firing Blank Pistols that I will sell to the first 8 buyers, I will not be getting any more of these as this was purchased from a suppliers back-stock inventory. As is with all rare items - they will not be sold cheap, this version also only comes with the orange painted slide which by the way is fairly easy to paint black or strip to a nickel finish. I stripped mine and I didn't even have any paint remover around - I simply used some paint thinner and my dremel for the stubborn areas, followed up with some Autosol metal polish to brighten it up. The Kimar Mod. 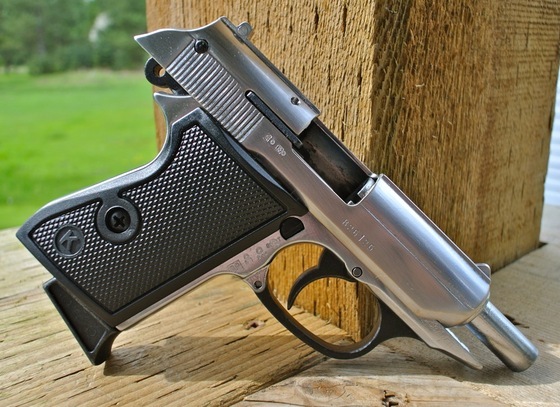 85 Blank Pistol closely resembles the Beretta Cheetah hand gun in looks, and functionality. The Kimar Mod. 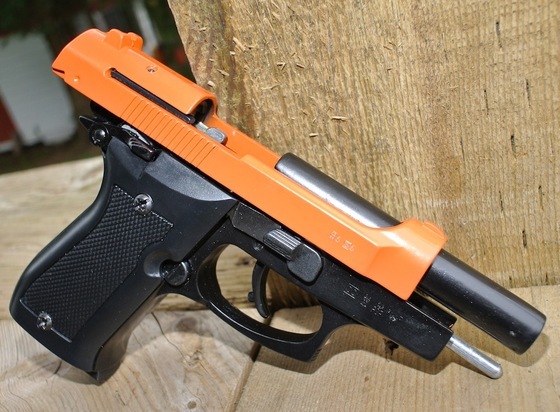 85 comes with an 8 round single stack magazine and has an orange painted slide. 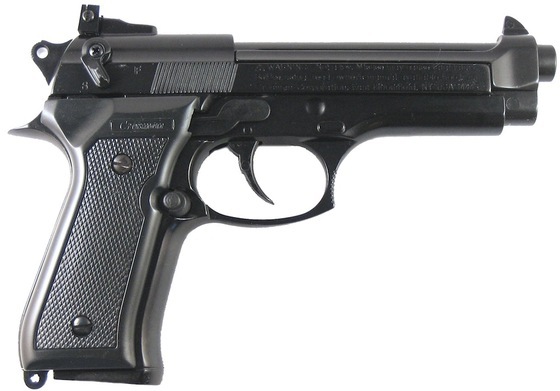 This model is perfect if you like the look of the Beretta 92 FS but want something just a bit smaller. The Kimar Model 85 comes with a flare adaptor and cleaning rod. 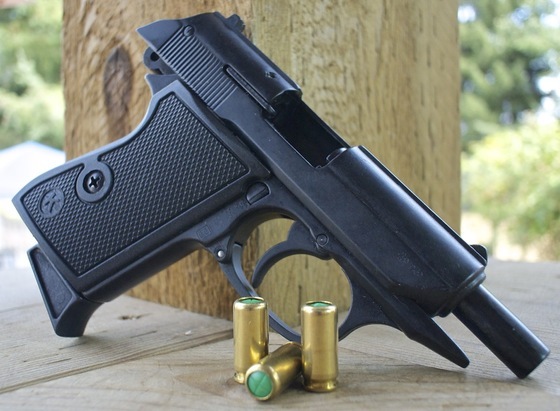 Trigger Pull: The trigger pull on the Kimar Model K 760 is a bit stiff but on a beginner gun I would recommend the trigger to be on the heavy side for safety reasons and also to teach correct trigger control. It did not seem to effect my shooting at all which was nice. 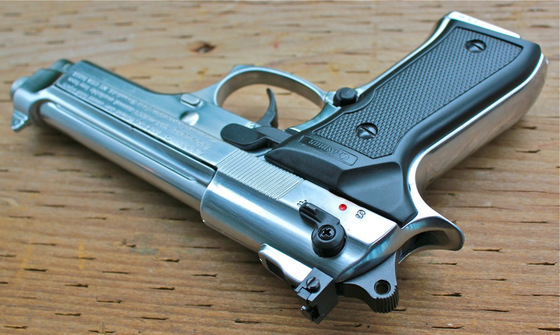 Accuracy: Very good, I was surprised at the tight group I got from a semi rested position and with open sights, I nearly got a 3/4 inch group from 30 feet out which is about the best I can expect from just about any gun I have shot in the same manner. The Kimar Model K 760 spring piston break barrel rifle also shot true to it's claimed feet per second rating and got right around the 450 fps velocity mark. Build Quality: The Kimar K 760 .177 air rifle is not going to win any prizes for style or craftsmanship but it gets the job done and in about as simple a manner as is required. 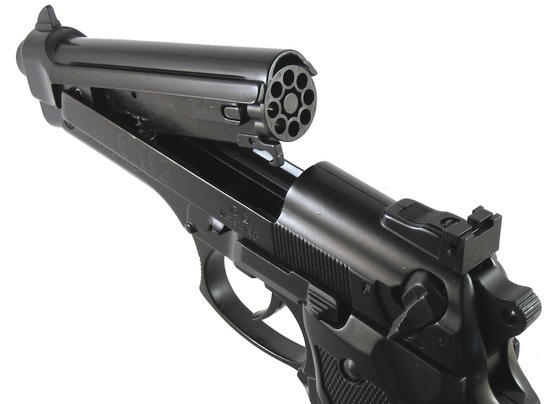 With that said, what can really go wrong with it?Crank the barrel and pull the trigger. 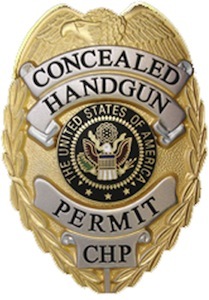 The lack of a safety does not really bother me as I never ever trust a safety and it's always good to learn how to keep a gun safe at all times even when you "believe" it is not loaded or ready to shoot. There is some plastic found on the Kimar K 760 like in the sights and the stock but the mechanical parts are all metal including the trigger. Reasonable quality for the money. Synthetic stock good in all elements. I pump - 1 shot. Decent FPS, could be used on small game with practice. Very good accuracy even with open sights. Very compact and easy cocking effort - good for younger shooters. Very basic design, no frills. No safety or trigger adjustments. No ability to mount a scope. Coming in at around $50, you can not ask the world from the Kimar Mod. K 760 .177 Caliber Spring Piston Rifle! What you can ask for is for decent accuracy and usable fps, and that's exactly what you are going to get from the Kimar K 760. 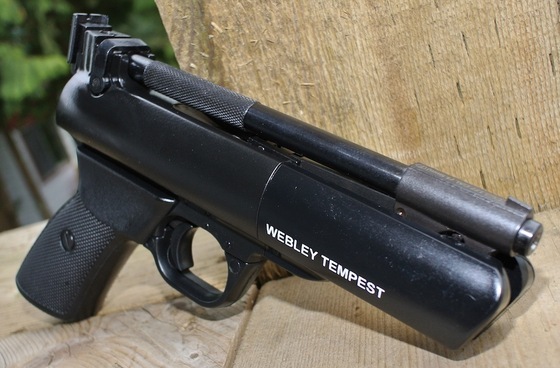 This break barrel air rifle is really perfect for a beginner shooter on a budget or even for someone who may want to pack it around in some ugly situations where you wouldn't want to subject your high priced top quality air rifle. For the money you really can't lose with this one! Looking for an ultra compact, super inexpensive, Italian made air rilfe for target or small pest control? Look no further! This brand new air Italian made rifle from Kimar in .177 caliber is an ideal first air rifle for plinking targets in the back yard and because of it's very compact size it is excellent for small or first time shooters. Don't assume it doesn't have any power? You get up to 450fps velocities which makes the Kimar K 760 useful for shooting small rodents. 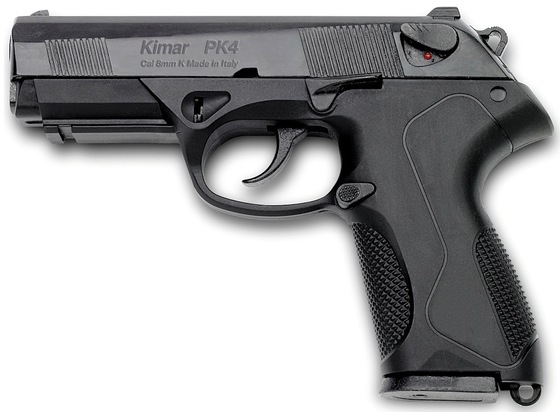 The Kimar 760 is very inexpensive yet has a high quality finish on the synthetic stock and metal work and fires accurate groups from 15 meters out with its open sights which are adjustable for windage and elevation. 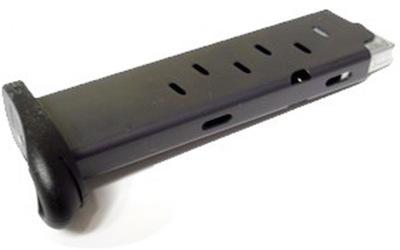 Barrel: 4.25 inches, metal rifled. 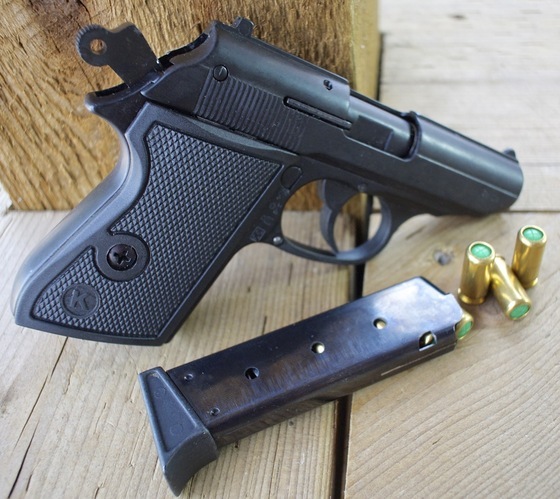 Trigger Pull: The trigger pull on the Crosman - Kimar CK92 is absolutely excellent! 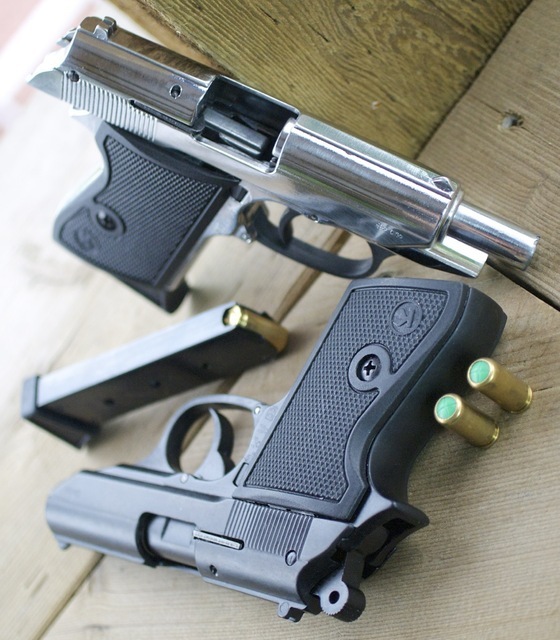 Single action is very light and smooth and double action is almost exactly the same. 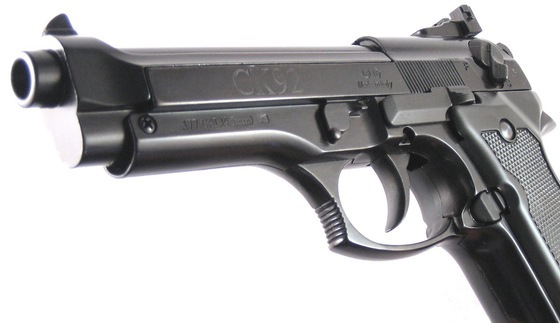 The CK92 has one of the lightest and smoothest double action trigers out of all my airguns and that's saying a lot! 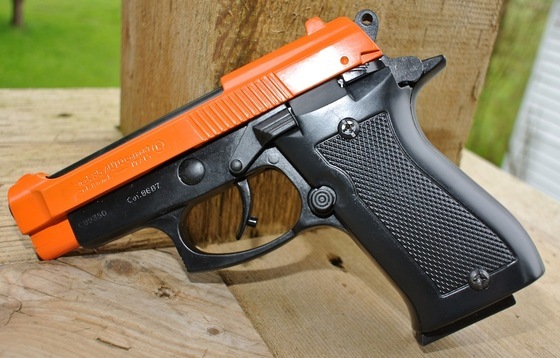 Accuracy: I shot the Crosman - Kimar CK92 air pistol at a target from 20 feet away in a free standing position, and it performed well getting about a two inch grouping right close to the center, just to the right. Most of the rounds stayed in a one inch group while two rounds strayed away a bit. I had a very awkward grip due to my camera mount so I know this guns should get closer to a one inch grouping with some getting used to it and using a standard grip. The rear sight is adjustable for windage and elevation so hitting the bullseye would not take much work. 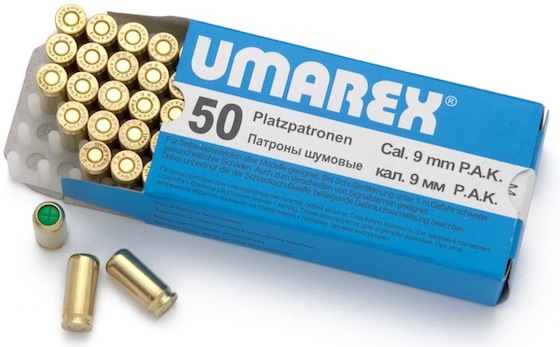 My Chronograph testing started out a bit rough due to the 10 year absence of shooting this gun but once I blew out some of the cobwebs it settled in at around the 350 fps mark and I was also able to get 10 magazines worth of shots before I noticed a drop in performance. 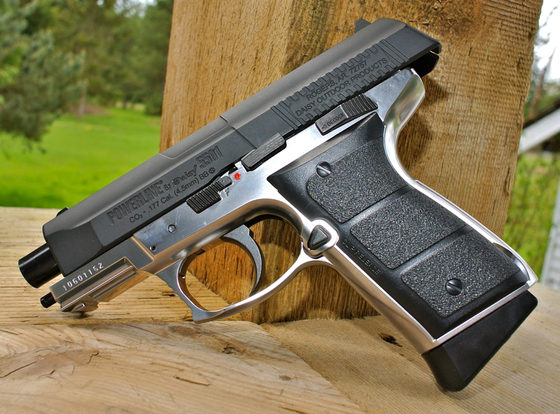 Build Quality: The Crosman- Kimar CK92 is built like a tank, it is probably one of my heaviest pellet pistols weighing in at 2.6 pounds! The build quality and craftsmanship is very nice with most of the gun being made out of metal and only a couple parts made from plastic like the grips and part of the rear sight. 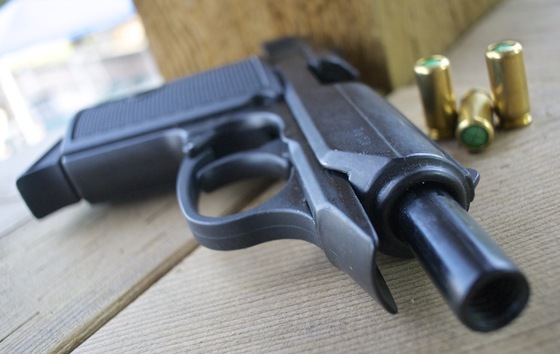 You can really feel the quality of this gun when you pick it up and squeeze the trigger a few times. 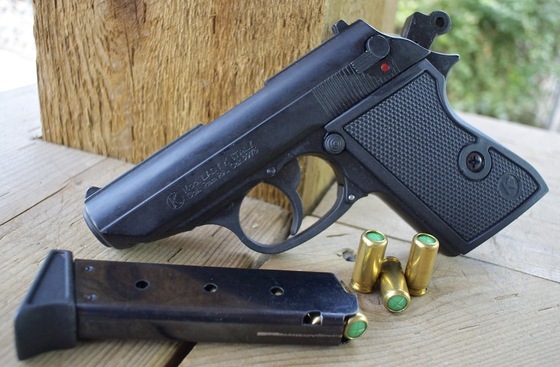 Realism: The CK92 pellet air pistol is a very nice copy of the real steel Beretta 92FS and considering it was made some 10 years ago when most replica air guns still looked mostly like air guns. 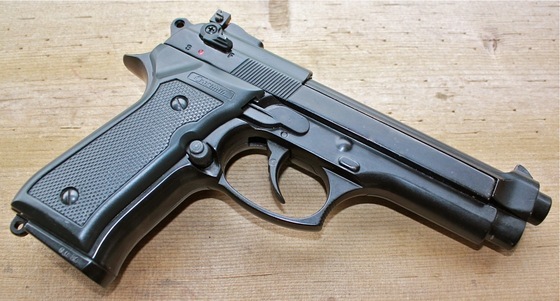 You really have to give Crosman and Kimar credit for making this gun so close to the actual Beretta 92FS. 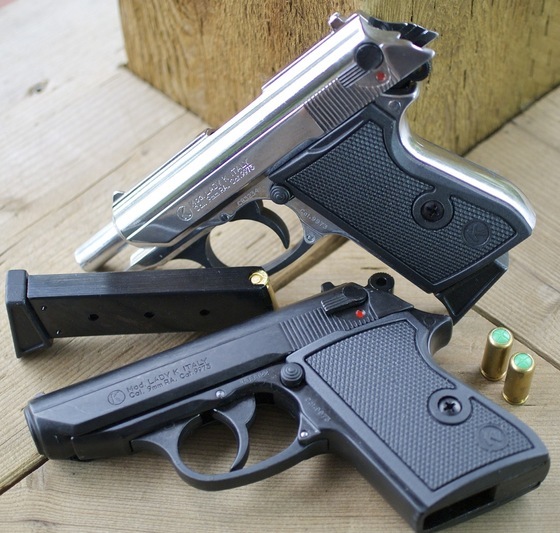 Everything is exactly where it would normally be on the real Beretta and most of the mechanical part are functional, even if they serve a different purpose as it is an airgun after all. The price is right, especially for this condition of collectors item! All metal very heavy and well made gun. Pellet shooting with a rifled barrel. 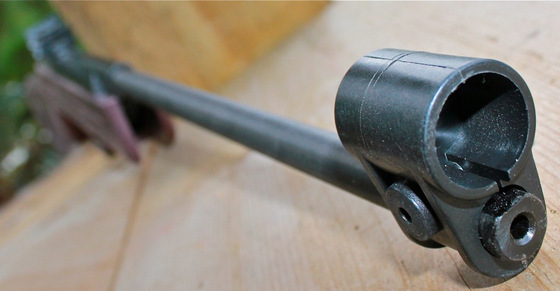 Fully adjustable rear sight with windage and elevation. Decent accuracy and power and CO2 usage. CO2 screw and tab are hidden in the handle. 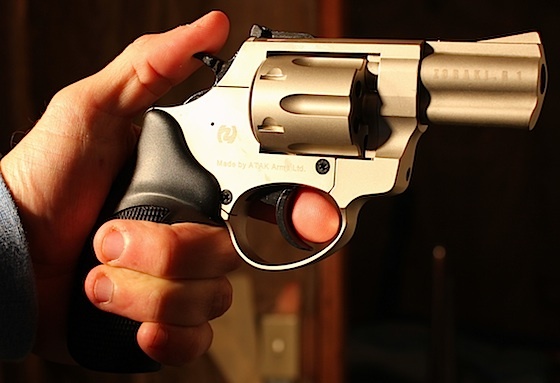 Excellent trigger pull in both single and double action. 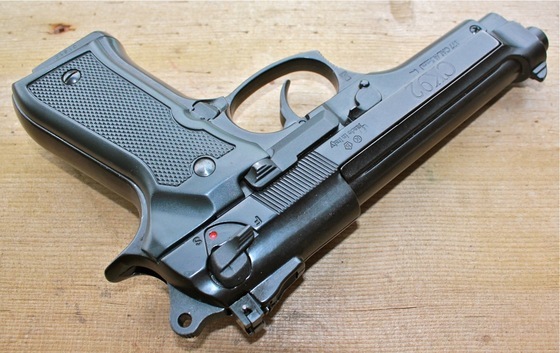 Very good Beretta 92FS replica. 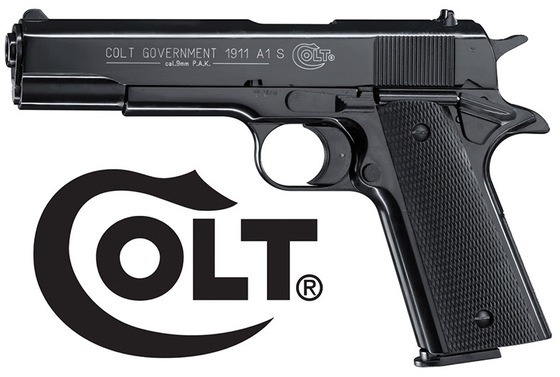 This is a 10 year old gun and hard to tell how reliable it will be because of its age? When they are gone, they are gone! No more in this kind of shape. 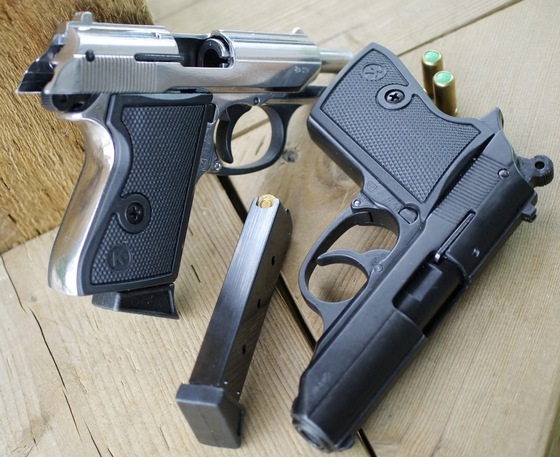 This was a very different review for me to do, a part of me wanted to just put my two CK92's away in a safe place and just keep them as collectors guns but I was also very curious to see if the CK92 performed as well as it looked and felt. Curiosity got the best of me as you can see and I am glad I ended up testing at least my Chrome CK92 because it was a real joy to shoot and it didn't let me down in any way. 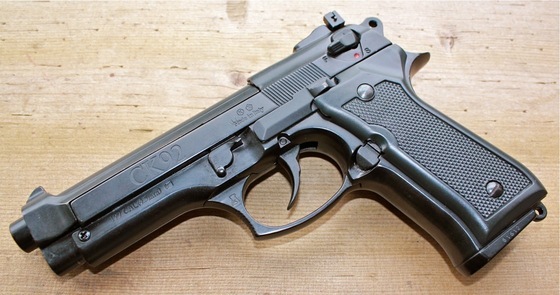 I am not going to recommend the CK92 airgun for anyone who plans to shot it regularly because I really believe that 10 year old valves and seals have a lot more potential to fail then a new airgun and getting replacement part will not be easy for this very fine air pistol. 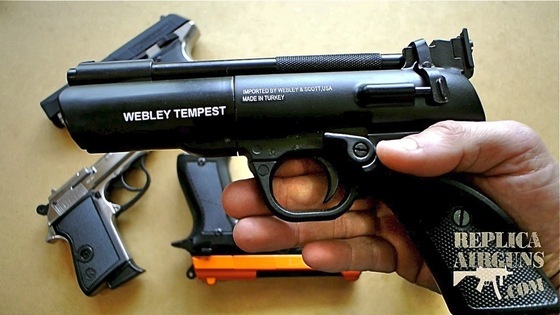 That said, you may get lucky because it's a very well made air gun. 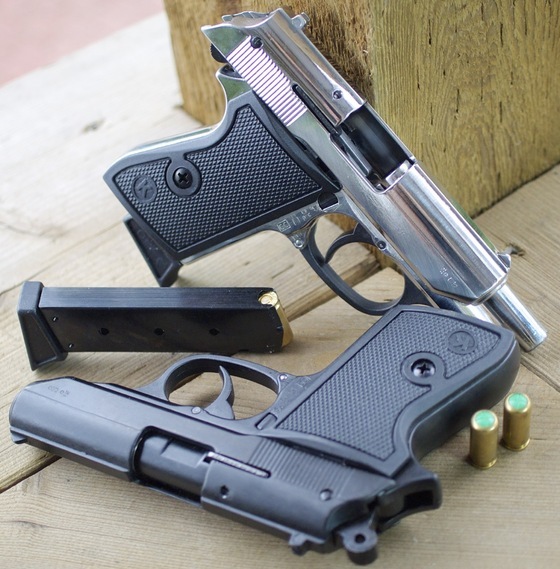 Personally I am going to put both my Chrome and Black Crosman - Kimar CK92's in a nice safe place and treasure them like you would anything rare and valuable. 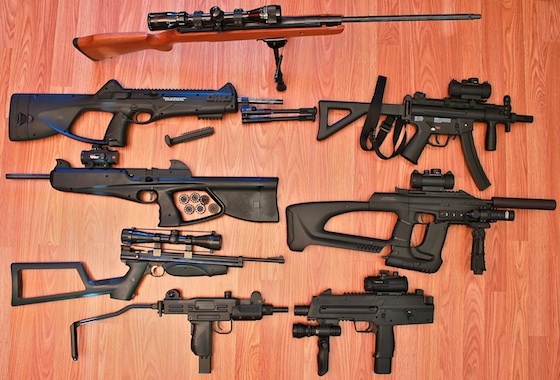 I think these guns are selling at a steel of a price right now and when they are all gone I just know people will be offering me several times the price I paid for my personal Chrome and Black Crosman - Kimar CK92's, and I will tell you my answer right now... 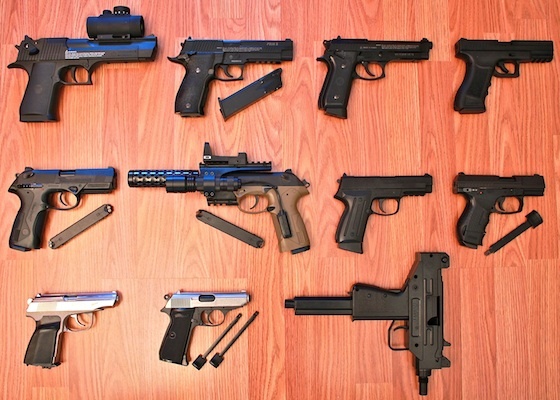 Sorry, these guns are not for sale. 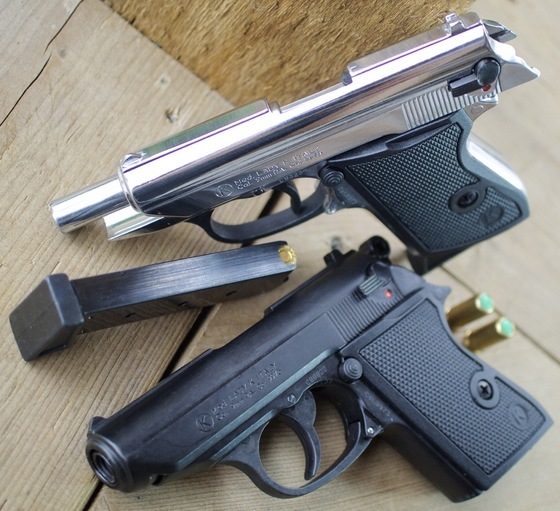 I received my black Crosman - Kimar CK92 Beretta styled pellet pistol last week and I got my Chrome CK92 today, and wow does it ever look nice! I was kind of shocked by how nice this collector piece looked, my black CK92 looks nice but the chrome version is something else. I'd almost say it looks more like polished metal then a chrome plating and there is a difference. I like the more mechanical look of polished metal personally! 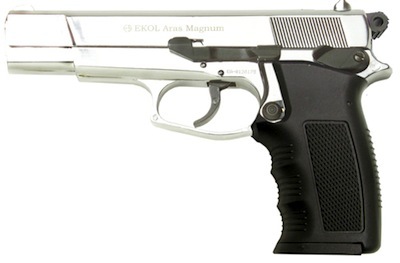 The Chrome CK92 also comes with a really nice hard shell case with cut-outs for the gun which is a bit nicer hard case then the one that comes with the Black CK92. So for the extra $20 it may be worth it for some of you. 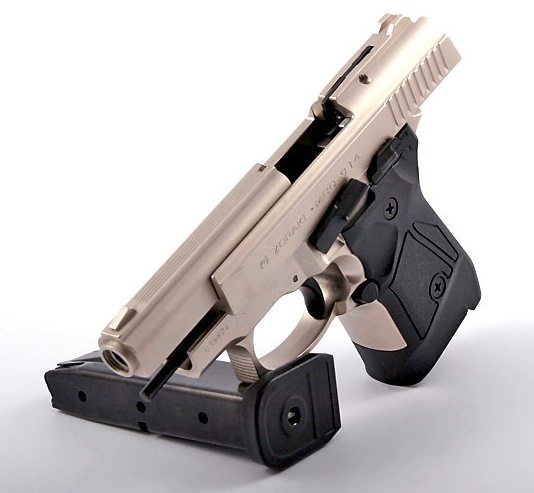 Well it took a long time but the Crosman Kimar CK92 .177 caliber pellet pistols finally arrived from the Kimar factory and they are now on sale. The reason it took so long is because each and every one of them was inspected prior to the entire shipment being released. Guess that's a good thing at the end of the day and worth waiting for! 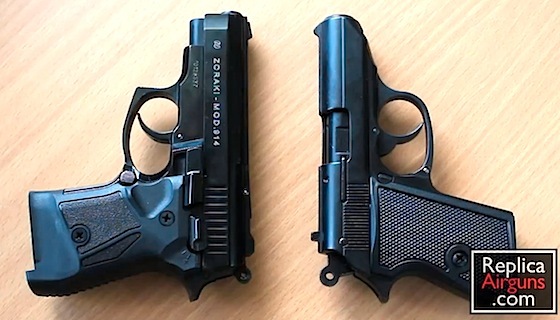 Originally we thought they where going to be brand spanking new but when they arrived the years sitting around in the Kimar factory has aged them just a bit but not like the age of a used gun for sure. Because of this we have decided to sell them as Refurbished units and as a refurbished unit we have dropped the price just a bit on them and they are now $99 for the black and $119 for the Chrome. We also got less then we expected, I guess some did not pass the tests so we won't have these forever and they may go up near the end. 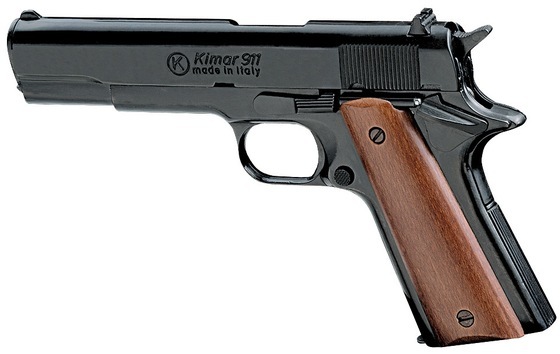 We have another very interesting Pre-sale item out of Italy again, but this time from Kimar. 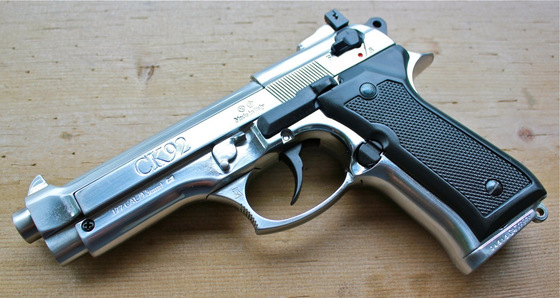 A while back in 2000-2001, Kimar and Crosman teamed up to make a really nice Beretta 92FS Styled Replica Airgun called the CK92. 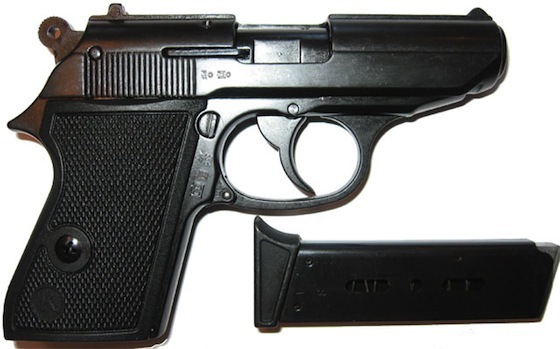 It basically used a bunch of Crosman internal parts but the bulk of the gun was manufactured in the Kimar (Armi Chiappa) factory. 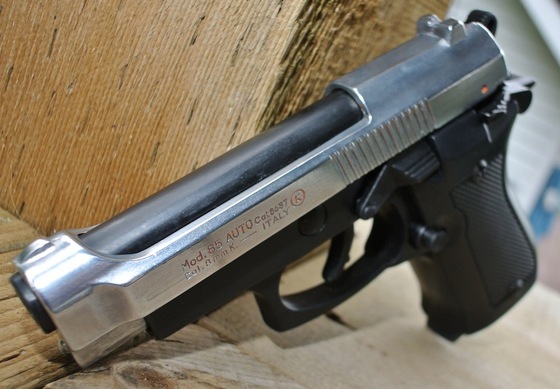 This gun was not produced after 2001 and so has only been available as a used gun to airgun collectors, that is until now. Somehow a limited amount of these guns where rediscovered (perhaps a time machine was involved?) and we have gotten our hands on some arriving in mid July. Since these CK92's have been sitting around for a while they have all been re-tested and inspected and are ready for sale. 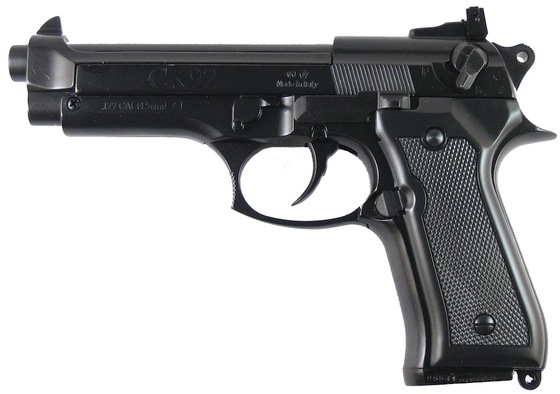 This is an amazing opportunity for any Airgun collector looking to get a brand new Crosman - Kimar CK92. And we even have a few arriving with the Chrome finish - even more rare! 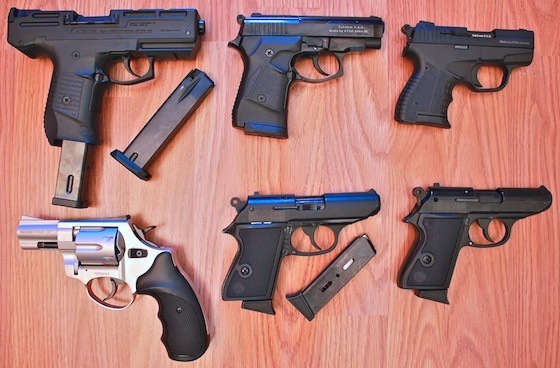 Guns. I fire 9mm and 8mm P.A.K blank ammunition through these guns and even show off the Zoraki Mod.914 in full auto firing mode. In the YouTube Videos I also slow down the video to one-quarter speed so you can really see the action of these blank guns.